When a portal is set to public, anybody who visits the portal URL can see it. Users can see all featured courses, qualifications and course categories, and they can enrol in any courses that don't require them to be invited or to have an activation code. 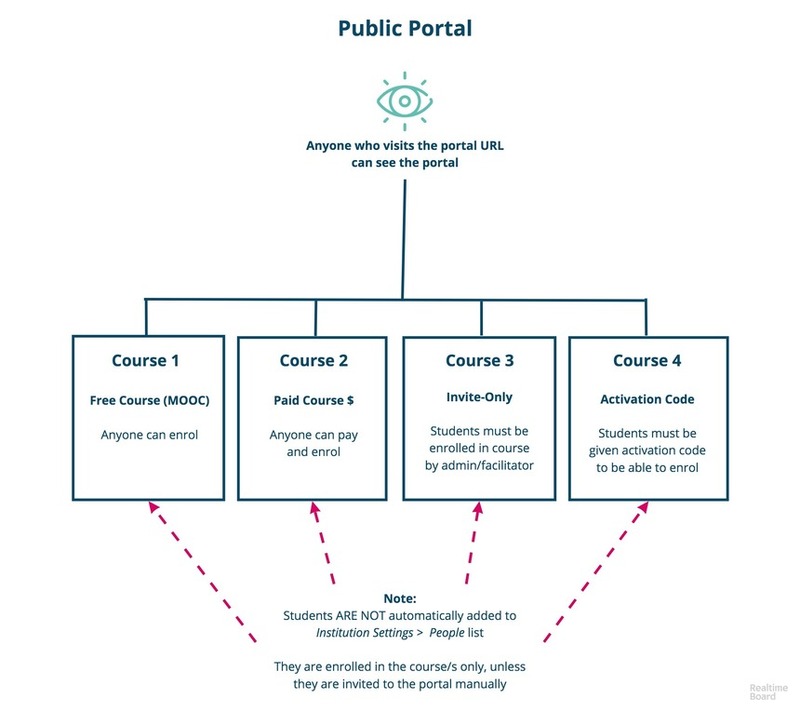 When a student enrols in a course in a public portal, they are automatically added to the individual courses' student lists (Administer Students > Students). They ARE NOT automatically added to the Institution Settings > People > Overview list. If you have invite-only courses in your portal and you would like enrolled students to be displayed in the institution's People list, you can invite/enrol students from the institution (follow the steps in this article). Note: There currently isn't a way to add students from the general public that have enrolled in your courses, to the Institution > People list.